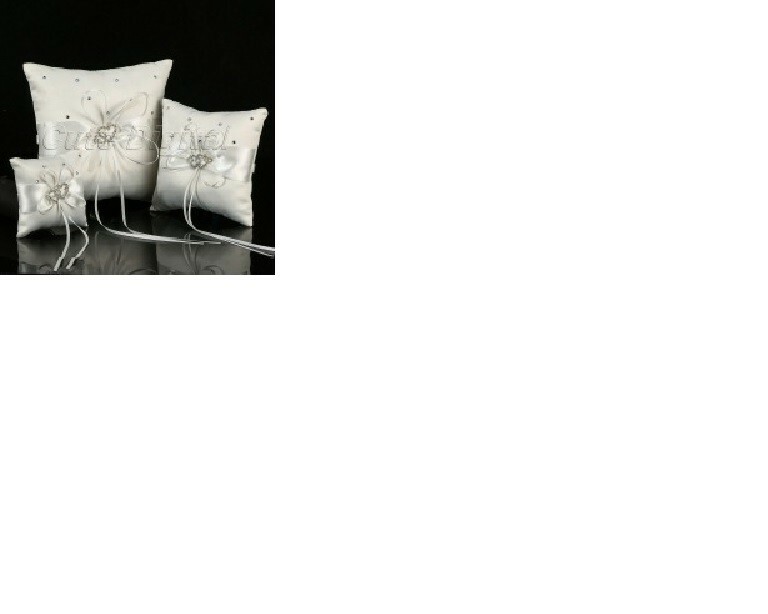 White satin pillow/cushion trimmed with ribbons and hearts decal. Really gorgeous. 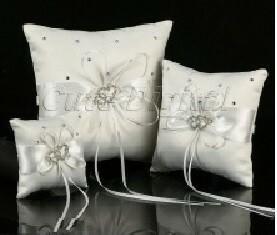 Large size approx 18cm square.